Okay, so for the final Steve Jobs post for this week’s Steve Jobs special, is this news from California. 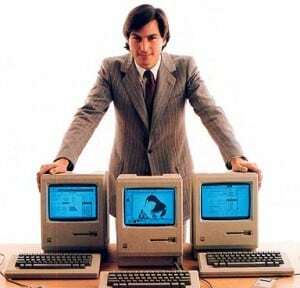 California Governor Jerry Brown jsut announced that he is going to declare Sunday as Steve Jobs Day. Sunday is also the memorial service of Steve as set by Apple and the Silicon Valley. A lot of elite of the techno industry as well as close friends and family are going to be there to celebrate his life. A lot of Apple fans are also expected to attend. They couldn’t keep them from attending anyway, don’t you think? Now, where is Brown’s declaration coming from? Technically, he has all the right of declaring a Steve Jobs day because his state has influenced Steve Jobs a lot. If you still don’t know, the headwuarters of Apple is situated in California, therefore, this is the place where he created his greatest inventions – the different iDevices. This includes the Apple II, the Mac, the iPod, iPhone, and iPad. While declaring a holiday is not a bad thing, this declaration still garnered a lot of criticisms from the netizens – especially since the declaration was announced via Twitter. Wow, talking about being high-tech. In any case, this is because a lot of people think Brown should not waste his time doing other things like declaring special dates and focus more on getting more employment for his citizens instead. Take note that these critics are targeted at Brown. No one is really attacking the inventor, Steve Jobs. I think everyone just accepts that indeed Jobs is a great man and he deserves such honor. Having a holiday so that people could mourn over his death, and celebrate and get inspired by his life is probably the best gift that the state of California could give back to Jobs for all the contributions that Jobs gave to their community. In the end, we sincerely hope that everything goes well this coming Sunday. Let the sun shine bright over Jobs’ memorial and let everyone who attends it be safe. Let us all remember how he left the world, but not focus on it. instead, we should focus more on how he lived and made an impact to everyone of us. If you haven’t read about his death yet, and the cause of it, we have a special post about it. Also, declaring holidays is not the only way to give honor to the great inventor, here are posts about how three artists gave honor to him, as well as a music awards that will be held in his honor. We also have an inspiring post about his life, his problems, his struggles, and how he succeeded. This is the last post of the week-long Steve Jobs special. It was very fun writing for a man who changed the world. We are indeed lucky to have witnessed someone who is as great as all the inventors in the past like Thomas Edison, Alexander Graham Bell, and others. One could ask, what would the world become no that Steve Jobs is gone? One should ask the more important question, what could have become of the world if Steve Jobs didn’t live?